Located in the former Artillery Arsenal Building of the Daugavpils Fortress the venue and setting of the Daugavpils Mark Rothko Center already gives away that this is not just an art center. To the contrary, the majestic exterior of the building fully matches the interior design and artwork found in the centre itself, among which paintings of the renown artist Mark Rothko himself. At only a three hours train ride’s distance from Riga the fairly new Mark Rothko Center in Daugavpils is one of the locations outside the Latvian capital that should just be on your itinerary when you are a fan of modern art and happen to visit the country. 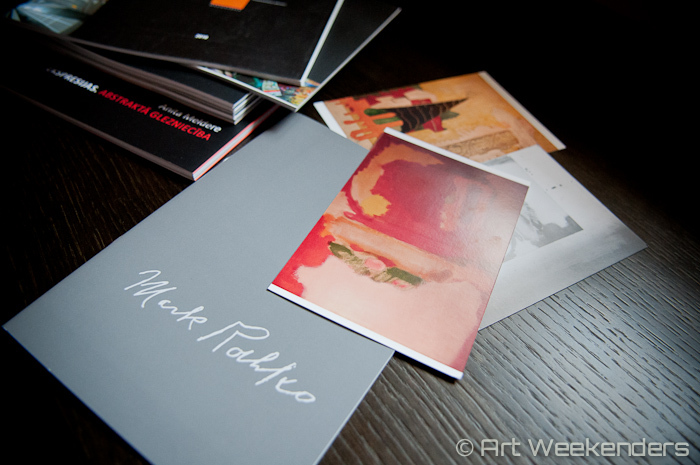 The art venue, built in Rothko’s city of birth, opened in April 2013 and has since its opening attracted many visitors from abroad and to the center’s delight also many Latvians. The centre being the first Eastern European venue where paintings of the Latvian-born Mark Rothko are permanently on display, Latvians themselves are proud to finally have Mark Rothko back amongst them for good. For the locals the center is besides a museum also a venue for entertainment and education thanks to the regular activities taking place in the center, inviting both young and old to participate during creative sessions. The initial idea for the center was born some ten years ago during the 100th anniversary of Mark Rothko (1903-1970), when Rothko’s daughter Kate Rothko Prizel and son Christopher Rothko visited Daugavpils to celebrate and commemorate their father. They also shared their dream to create an art center bearing the artist’s name, a center which would encourage the development of art. 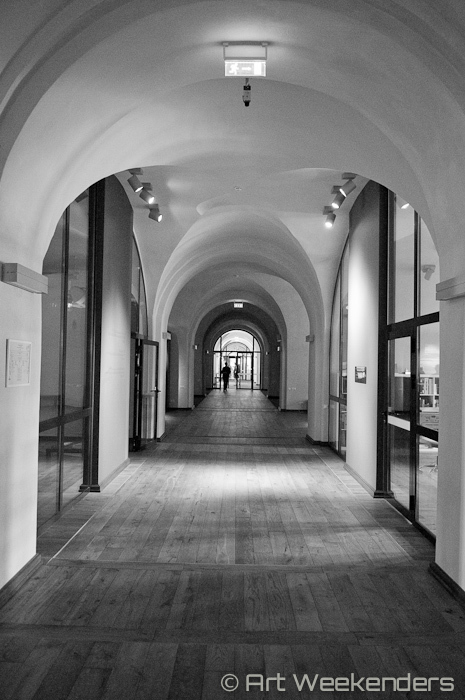 After ten years of perseverance, seeking funding and a suitable location the center finally opened its doors in 2013. The Artillery Arsenal Building in which the museum is housed is part of the Dinaburg fortress (what used to be the old German name of Daugavpils), a memorial area just outside Daugavpils, which has functioned both as an artillery arsenal building and cadets’ canteen in the past. After hardly having been used for numerous years the center now got a public function, which will hopefully last for many years to come. The interior of the Mark Rothko Center – Daugavpils, Latvia. The new interior of the building has been very well thought through, while preserving historical elements – having to keep in mind that the building is a protected monument -, as we could ascertain during our visit to the center this spring, warmly welcomed by Inga Goldberga, the center’s marketing manager. The concert hall of the Mark Rothko Center – Daugavpils, Latvia. The building consists of two floors with four different exhibition spaces as the central part of the center, of which one is fully dedicated to Mark Rothko. In this wing you’ll find six original paintings of the artist, which are borrowed from the family collection and may after five years be exchanged for other ones to keep a fresh collection. There are also a further forty reproductions of the highest museum copy quality, together reflecting the different periods of the artist’s life. 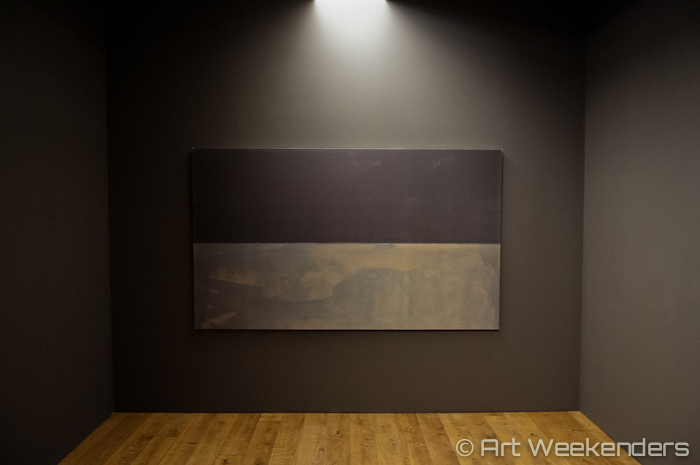 Temporary exhibitions at the Mark Rothko Center – Daugavpils, Latvia. In other parts of this wing you’ll find a silent room, in which you can withdraw and meditate or just take a moment to enjoy one of Rothko’s works in all silence, a video room where you can watch documentaries on the artist’s life and work, a library plus archive and not to forget an excellent interactive overview of Rothko’s life, his background and the influences of other painters on his work, putting all in the perspective of time from the artist and an art historical point of view. 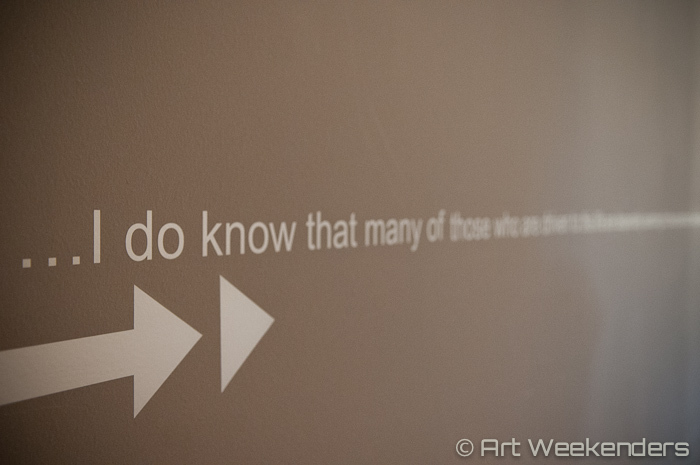 The innovative way this has been done leaves you thinking more museums should follow the example of the Rothko Center. 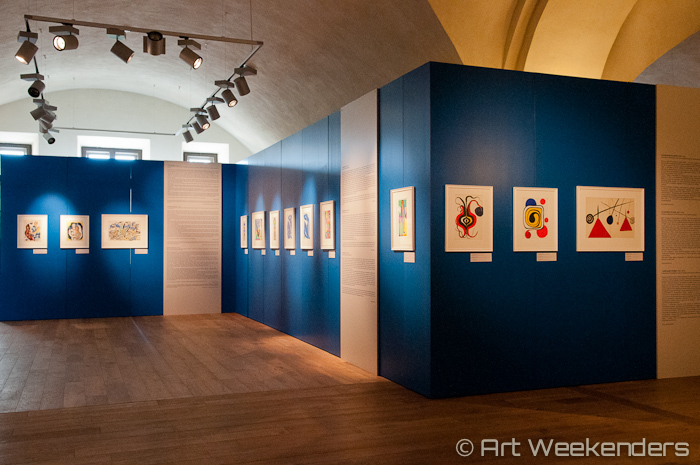 The other exhibition spaces contain different temporary exhibitions of renown international artists, like these spring months the avant gardists Rothko was so inspired by, like Miró, Calder and Chagall to name a few, but also exhibitions of local artists such as Peteris Martinsons, Latvia’s best-known ceramist and many other Latvian artists. It’s immediately visible that also the national art world should not be forgotten, the quality of the selected works is high and diverse, as is the way all has been displayed and lit. A fantastic experience. Apart from these exhibition spaces the center also has areas where its educational and entertainment functions get shaped, such as a concert hall, a conference sector, the art residences – where artists are invited to stay and work – and a children’s room – where kids can explore their creativity and be educated about art. The children’s room at the Mark Rothko Center – Daugavpils, Latvia. Mark Rothko (born as Marcus Rothkowitz and only changing his name to Mark Rothko at a later age) was born in Daugavpils (formerly known under the names Dinaburg and Dvinsk), but migrated with his family to the United States at the age of ten, his father wanting to prevent his older brothers had to join the Russian army. Although the clever boy received a scholarship to Yale University, inspired by fellow art students, soon he dropped out to study drama and arts instead. These were Rothko’s first steps into his life as an artist, to become at a later stage in his life a central figure in the so called abstract expressionism art movement, together with artists like Jackson Pollock, Willem de Kooning, Barnett Newman and Clyfford Still. His figurative, surrealistic style slowly developed into the multiforms he initially became known for, and thereafter into the style we see in his later works, that of division of fields in different colours and shades. 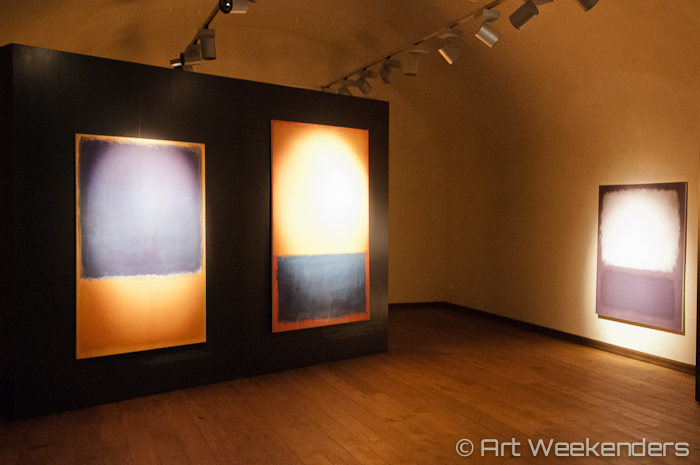 Mark Rothko’s work at the Mark Rothko Center, Daugavpils, Latvia. Where for some it may be difficult to imagine the power of these later works, not recognizing any shapes, just have a close-up look at one of Rothko’s original or real sized paintings and you’ll feel it immediately. This is the power of the artist’s painting, the power to evoke an emotional reaction with such a simple yet refined and spiritual meaning. Not surprisingly his paintings nowadays sell for millions of dollars, in May two of his works were sold for respectively $56 en $66 million dollars, but prices up to $87 million have been paid for his work. 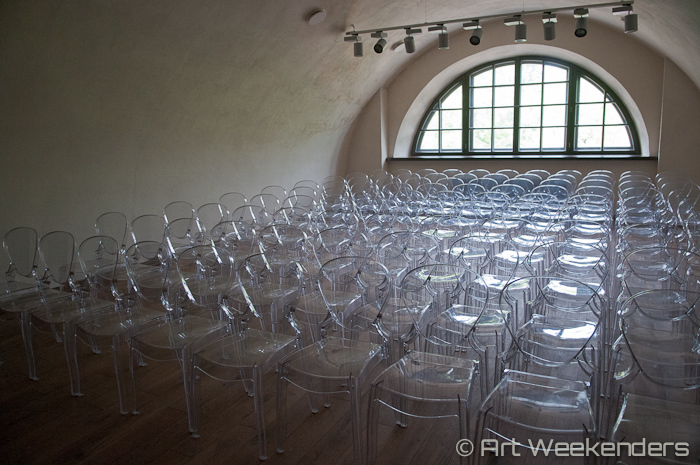 Silence room in the Mark Rothko Center -Daugavpils, Latvia. The easiest way to get to the center is obviously by car. Although there are buses and trains from Riga and other cities to Daugavpils, connections are not that often. The train-ride from Riga takes about 3-4 hours. The bus will take slightly longer. Make sure to check the timetables from and back to Riga on these websites: lv.com (trains) and autoosta.lv (bus), both available in English. From the Daugavpils train station you can either take a bus (№ 13,5, and 13A, Trolley №3 to ‘Fortress’ stop) or taxi to the center or walk (± 25 minutes). The center is open on Tuesday and Sunday from 11am to 5 pm and Wednesday to Saturday from 11am to 7pm. Tours of the center are available in English, Russian, Latvian, Swedish, German and French (reserve in advance). The quality of the guided tours is excellent, knowledgeable and with excellent language skills. In case you’d like to have a lunch or dinner near the centre, we can highly recommend the Arsenal bar and restaurant next door, which is part of the center. It serves truly delicious meals for good prices. A limited number of art residences are available at the center for working and living for artists, architects and art critics. Again, reserve in advance to make sure there’s space. 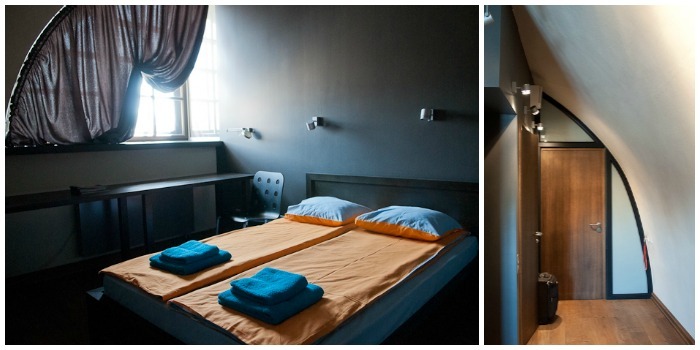 Otherwise, you’ll be able to find hotels in Daugavpils itself for an overnight in Rothko’s birthplace. For more information on the current exhibitions and the offerings of the Mark Rothko Center, please visit their website, here.